MP and Deputy Chairman of the Human Rights and Civil Integration Committee Dimitri Lortkipanidze held a special briefing on the development of anti-drug measures for state and public figures on May 13. Lortkipanidze encouraged Parliament, Government and opposition representatives to discuss the legistative package prepared by Gigi Tsereteli, the Vice Speaker of Parliament, and the Global Fund concerning this. “The legislative package prepared by Gigi Tsereteli defines the international status of drug users as given by the World Health Organisation. This revolutionary change means that periodic checks of state and public figures will be undertaken by modern methods which will establish from a hair sample the level of their drug usage during the previous four months. Amendments will be made to Article 273 of the criminal code, which will define drug users as ill rather than criminal. But unfortunately the Georgian Government has a problem with this and is doing all it can to deter the adoption of this legislative package,” Lortkipanidze told The Messenger. “The legislation should define the difference between drug users and drug sellers in order to decrease the number of addicts in our country,” Lortkipanidze told his colleagues, adding that the addiction figures are so high that the country is in danger of seeing a national disaster, which is why the executive and legistative bodies should take an interest in this issue. The MP said that the adoption of this drug checking procedure was being impeded by the General Prosecutor’s Office and Ministry of Justice because there is competition between various agencies to get money by fining drug users and therefore the Government is trying to prevent the adoption of anti-drug legislation which will reduce the fiscal benefit they gain from the prevalence of this habit. “The General Prosecutor’s Office is the main opponent of this initiative. I have a database which states that GEL 30 million was added to the State Budget in 2007 by fining drug users. This amount would have been enough to launch a preventive mechanism with and build European standard rehabilitation centres for people suffering from drug addiction and their families, who spend so much money at court obtaining their release,” Lortkipanidze stated. 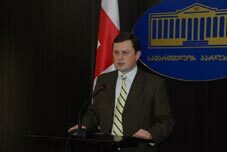 “Despite the fact the the Human Rights and Civil Integration Committee and the Legal Issues Committee and Healthcare and Social Issues Committee have expressed their readiness to implement this initiative the Government of Georgia is taking no steps to adopt this plan,” he told The Messenger. Lortkipanidze’s initiative of taking hair samples from senior officials as a means of testing for drug abuse within state structures was met with great interest in March 2010 and the President of Georgia was the first to express a readiness to provide a hair sample to the relevant services. Discussion of this simple process, which would identify all cases of drug abuse without offending a person’s dignity and which Saakashvili called a “reasonable initiative” the Government should listen to carefully, has somehow been suspended by state officials. Lortkipanidze reprimanded the President for breaking his promise to have his own hair tested and thus discouraging his colleagues from doing so. Minister of Health, Labour and Social Protection Alexander Kvitashvili had taken all the preparatory measures to enable this test to be done, but the President broke his promise to be the first tested, on April 26, and demonstrate that he had never taken any recognised narcotic in his life, Lortkipanidze said. The Messenger contacted the Spokespersons of the President of Georgia, Ministry of Justice and Ministry of Health, Labour and Social Protection before this issue went to print but they but did not receive any comments by that time. We will provide our readers with follow up in the next issues.